Greetings Captain, congratulations on being hired by the finest VA on the net! The basic principle is simplicity. We don't have complicated tranfers between airlines. Here at the Historic Airline Group you can fly with any airline you desire. Fly with United today, BOAC tomorrow, whatever you like is OK with us. As a new hire you are designated as a Captain. The aircraft you can fly are any aircraft in the inventory. You may choose any flight that is listed. If it is not listed, then it's not a HAG flight and cannot be submitted as one. When a flight is shown as a general aircraft type, i.e., DC9, it means any DC9 series (-10 through -50). If you choose a DC9 flight (for example), you may substitute a similar aircraft, just as airlines do in the real world. The key word here is similar. Note: This tutorial deals with getting you in the air, not with ACARS. There is a separate tab for using ACARS/KACARS. It's a simple process that makes submitting pilot reports so easy! By Departing Airport comes up by default. For simplicity, and as an example, let's click 'By Aircraft Type'. 3. Let's say you want to fly a DC-3 for American Airlines. 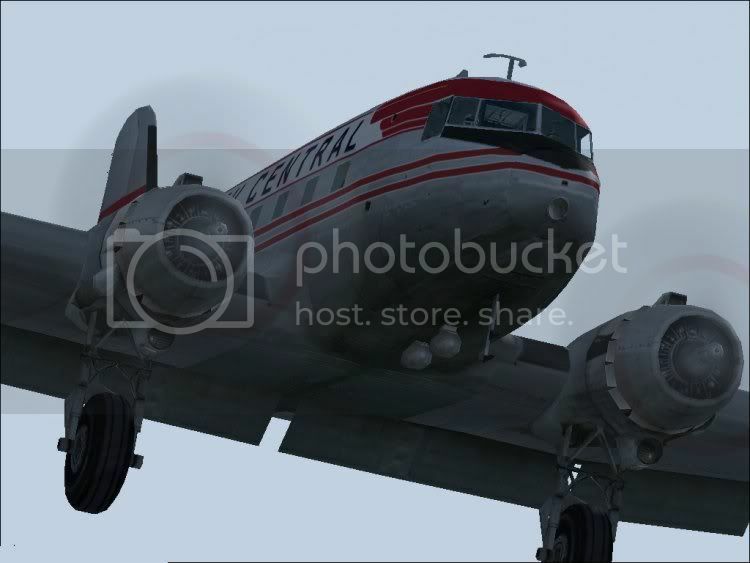 Click By Aircraft Type, scroll to DC-3 AAL, then click find flights. Now you have a list of all the DC-3 AAL flights available to you. Let's choose, "AAL158". Right click on View Details and choose OPEN IN NEW WINDOW or OPEN LINK IN NEW TAB. You can now see details of that flight- the departing airport and time, arrival airport and time, current weather information, and a map showing the basic route. You're almost there, just a couple more steps! 5. Go back to the flight list and click Add to Bid. In a couple of seconds that will change to Bid Added. That flight is now yours to fly! Note: Bidding in this program has the same meaning as selecting. 6. Open your Flight Simulator program if it isn't already, and place your aircraft at the departure airport. Make a note of the fuel on board and departure time from the gate. Fly your flight. The times given are the times actually shown in the historcial American Airlines Timetables we use to create the flights. If you want to set a different departure time, that's OK.
7. At your destination, again, write down fuel remaining and time of engine shut down. 8. Close Flight Sim, go to the Historic Airline Group home page. You should still be logged in, if not, log in. 9. Select Pilot Center again and select View my flight bids. Way over to the right you see 'File Pirep'. Click on that. The info needed is Fuel Used and Flight Time. We use block time for counting hours. That's brake release to brake set. Use that figure for Flight Time. 10. Enter the amount of fuel used and the flight time. 5.12 means five hours and twelve minutes. The Pirep will be reviewed and approved shortly thereafter, usually within 24 hrs. You can start another flight anytime, you do not have to wait for the previous flight to be approved first. Historic Airlines Group believes that a pilot is as good as his word, that is why we are allowed to file pireps manually and why there is no ACARS requirement, also no VATSIM requirement. You may use ACARS and VATSIM if you wish, it's your choice. When using KACARS, your pilot report is submitted from the KACARS program. There is no need to file the pirep from the HAG website when using KACARS. We hope you enjoy flying here with us. We're glad to have you aboard!